I suddenly have quite a lot to do in terms of my own learning and development activities. I have been reading the office politics book but I have stalled halfway there. 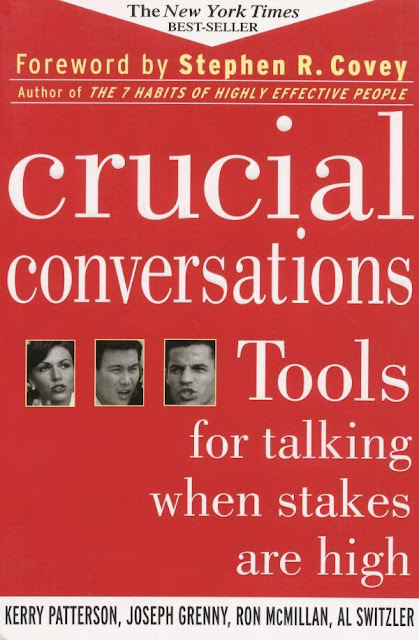 I have started on a new book: Crucial Conversations, and it is quite interesting, in spite of some bad reviews in Amazon.com. I have also started on two Coursera courses. Coincidentally, both of them begin on the same day today. I was watching the 2-year old lectures by Professor Steve Joordens still available in Coursera a couple of months back and stopped at Week 6 or 7, when I found out that they are offering it again. Now that it started and I begin from the very first lecture, I found out that they are still using the same videos recorded 2 years ago. It really doesn't matter as I can get the working memory become long term memory. The only issue is that some of the links in the old videos no longer work. I hope they would fix it for this round. I signed up for this and I am really looking forward to it. I have been certified as a Gallup Strengths Coach but I would love to learn any additional skills and know-how to coaching. I only hope I can manage my time well this month, going through two lectures at one go.